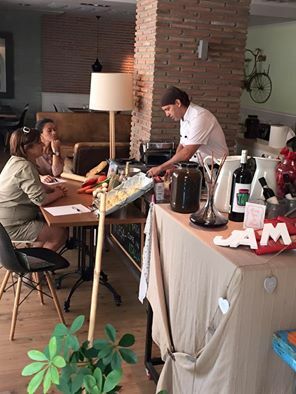 In October 2015, JAM Puerto Banus offers you four superb masterclasses dedicated to the oh-so-popular Italian cuisine! The remaining three masterclasses will take place on October 13, 20, and 27. The first course hosted by Massimo Fiorelli was entirely dedicated to pasta, the second on will be dedicated to salsas, whereas the third and the fourth to meat, focaccia, and pizza. Register today as the number of places is limited!